Will I need retainers – and are they all the same? When you’re getting your teeth straightened there’s more than one part to the process. First, there’s the crucial aspect of finding an orthodontist that you feel comfortable with, and that clearly has the experience to help you achieve the smile you want. Second comes the treatment itself: either Invisalign (the preferred choice of leading orthodontists), or a traditional metal brace. 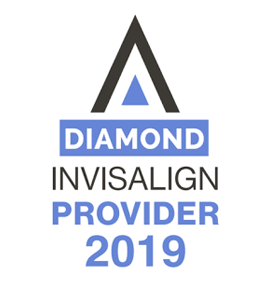 (Incidentally, if an orthodontist you’ve consulted hasn’t recommended Invisalign, it may be because they lack the experience to confidently do so, so it’s always worth getting a second opinion). After this comes the final part of the process – the retainer, which is often worn for several months to help your newly straightened teeth settle into their perfect alignment. At Brace5, regardless of whether the main part of your treatment was with Invisalign or traditional-style braces, we always favour the use of Invisalign’s Vivera retainers. Comfortable and accurate fitting, these retainers don’t cover any part of the gums – a unique feature of all teeth straightening products from Invisalign. And with Vivera, future replacements can easily be ordered from the original scan, which is very convenient. So whichever orthodontist practice you choose, and whichever option you are prescribed for the body of the straightening process, don’t settle for cheap, clear plastic retainers for the final part of the equation. Look for the Invisalign logo (see picture) to verify that you are getting absolutely the best retainer available. To chat with the team that always favour the best in teeth straightening and retainers, make an appointment for a free consultation with Brace5 today and we’ll put you on track to the smile you’ve been dreaming of.